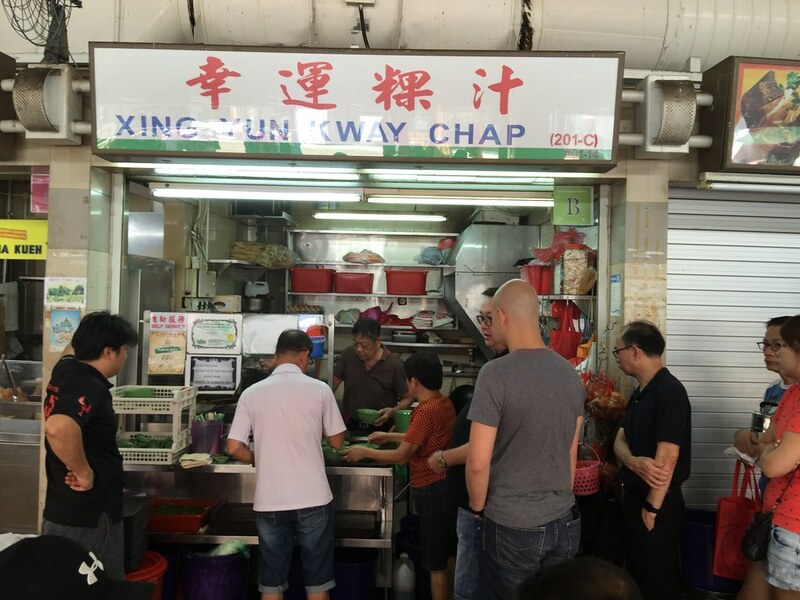 I got to know about Xing Yun Kway Chap at Tampines Round Market & Food Centre, when I noticed a facebook posting from my friend who is queuing for the kway chap. Apparently the stall only opens three times a week, from Friday to Sunday. It immediate aroused my interests to find out for myself what is so good about their kway chap. The very following week, I made the long journey from West to East. There was already a queue when I reached. We have to queue for around 45 minutes for our turn to order. Since it took us so long, we ordered almost everything including the pig tongue. My friend was telling me that he spotted the stall auntie brimming with smile when she heard our order. 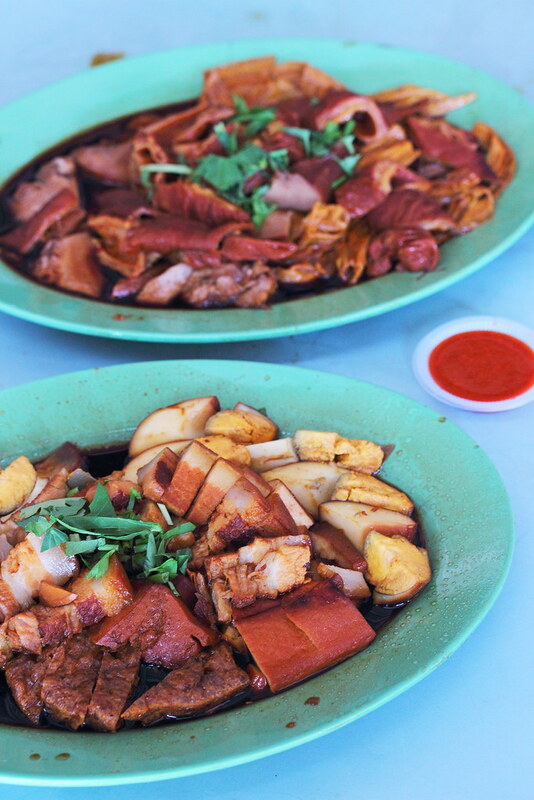 So what is the verdict of the kway chap? It is worth the queue. Many may worry about the gamy taste of the innards but the ingredients were all well cleaned, braised and absorbed the flavoursome sauce. What I enjoyed even more is the balanced consistency of the sauce which is neither too sweet or salty. It sure suits my taste buds. 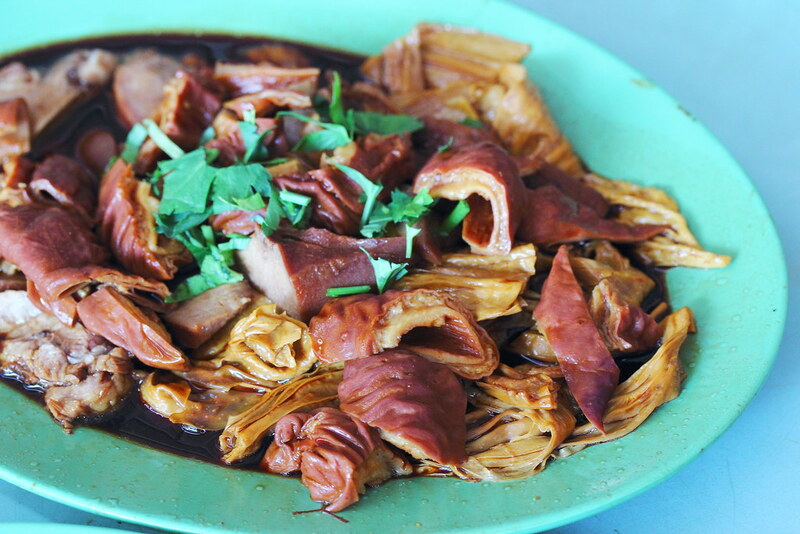 Not to forget the other component of a good kway chap, the sheets of kway. The kway was smooth and thin. 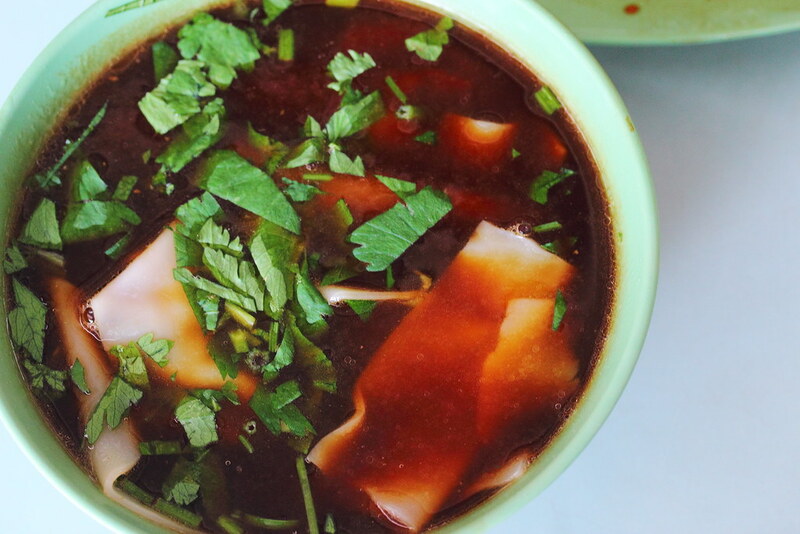 A mixture of pork ribs broth and braising sauce makes up the soup base for the delish bowl of rice sheets. 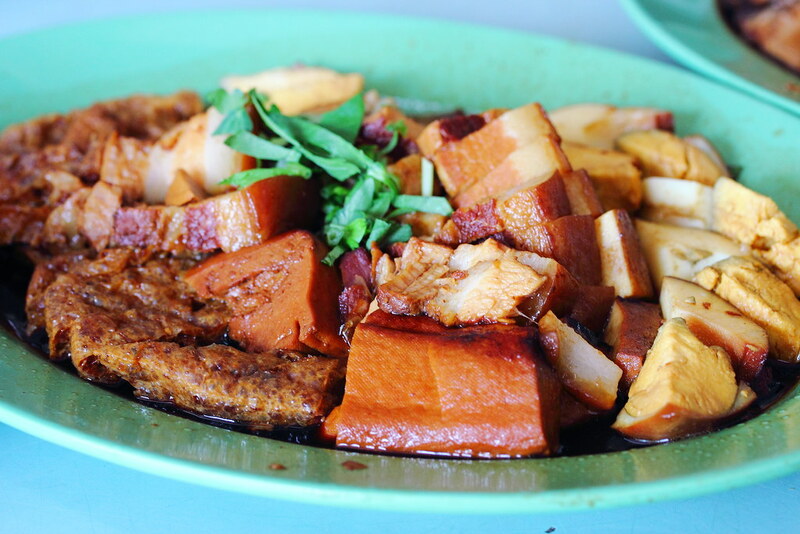 Having tried the kway chap myself, I can understand why patrons are willing to wait up to almost an hour for the delicious kway chap. I have to thank my friend who posted the stall on facebook, allowing me to discover another good kway chap stall in my food journey.